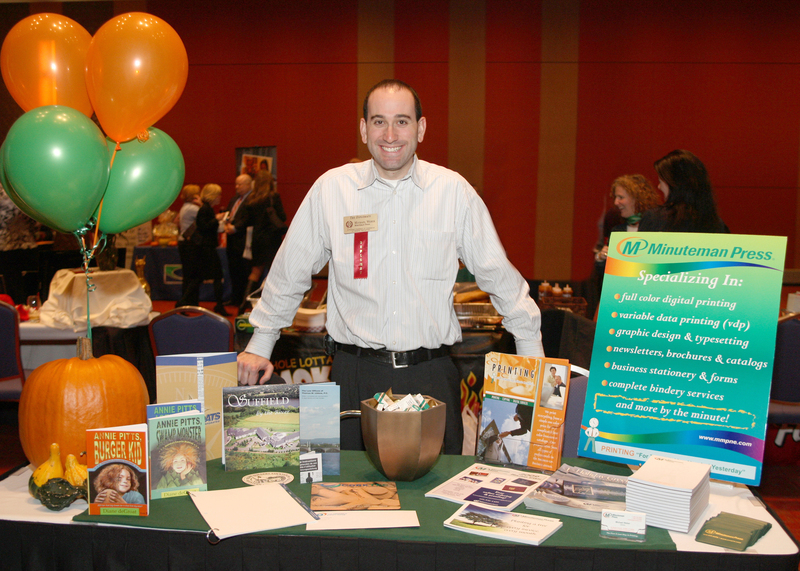 Minuteman Press participated in the ACCGS Tabletop Expo at the MassMutual Center in Springfield. Hats off to the chamber for a beautiful venue! Lindsey and Jack helped during part of the expo, but Michael was really the face of Minuteman Press on this night. He is shown here with the Minuteman Press display table.